Ever since the huge success of Jacob Hiller’s Jump Manual back in 2010, seemingly everyone is trying to get a piece of action by selling their own jump training program. Bounce Kit is no different in that regard. However, with a big name like Jordan Kilganon behind it, it certainly stands out from the crowd. In this jump training program review, you’ll find out whether the world’s most famous professional dunker makes a good coach or is better off sticking to dunk competitions. We’ll start by looking at exactly why a name like James Kilganon makes the program worth a look in the first place. 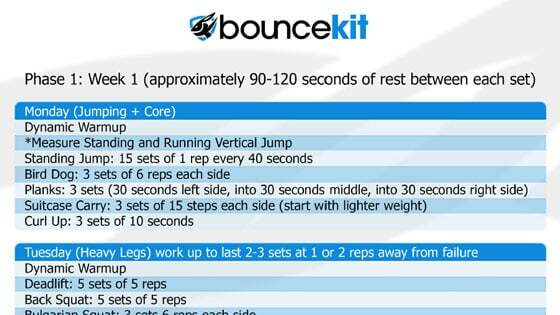 We’ll then take a closer look at how the Bounce Kit program works and what its workout routine is like. UPDATE 14 May 2018: Users are reporting that the Bounce Kit site has been under maintenance for quite some time. The site is still down. Existing members can access the member’s area, but new users are currently unable to purchase the program. A professional dunker, Jordan Kilganon first rose to fame after performing his signature “scorpion” dunk (wearing jeans, no less) over the 2016 NBA All-Star weekend. Jordan is only 6’1, making him small by NBA standards. Yet his dunks leaves even NBA’s greatest dunkers in awe, and being a smaller guy makes them appear extra special. He also adds that he was never even a massive NBA fan, his real passion always lay in the very art of dunking. Now regarded by many as the best dunker in the world, a jump program by Jordan Kilganon should definitely be something special. It’s not often that you get the opportunity to learn from the best of the best. However, we need to bear in mind that a great performer doesn’t always make for a great instructor. Jordan isn’t a certified training coach and if it wasn’t for his reputation as a professional dunker I would be extremely skeptical about the safety and efficacy of any kind of fitness program. So let’s dig deep into the program itself and determine whether we’re dealing with a genuinely good jump program OR a program that simply piggybacks off its creators name. 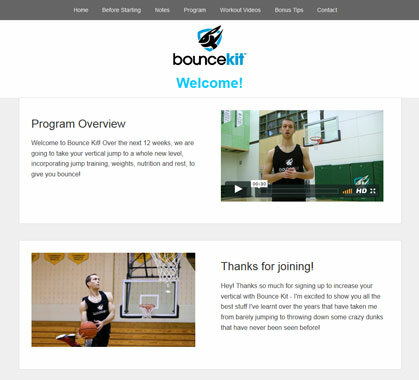 Bounce Kit is a 12-week long vertical jump training program that claims to be able to increase your vert by over 9 inches. The training program involves 4-6 workout days per week and workout sessions will take around an hour to finish. Access to the program costs $77, putting it in the same ballpark as our top-rated jump training programs. Bounce Kit is a digital product meaning everything you need is accessible through the member portal. The welcome email includes login information for your membership. Upon receiving access to the program, there is a short welcome video in which Jordan Kilganon thanks you for enrollment and briefly describes what the 12-week program will involve. It certainly wasn’t a particularly inspirational or exciting intro video that you might expect from one of the world’s best dunkers. Bounce Kit has quite a nice and clean interface, but that is in part because the program is so light on content. Workouts – These are 3 downloadable PDFs which cover the actual workout routine. Aside from the core program, there is a bonuses page, but unfortunately this bonus content doesn’t amount to much more than a few superficial tips. What I found really disappointing was the lack of any kind of dunk tips or personal insights from Jordan Kilganon. After all, I’m sure every one of us is eager to know what he does differently. I feel like Jordan missed a huge opportunity here. He clearly sets himself apart on the court and around the rim, but when it comes to Bounce Kit? The program just doesn’t feel like anything special. It just has the Jordan Kilganon name tagged to it. Bounce Kit, like many other jump training programs, takes a tri-phasic approach to develop your vertical jump. It has three distinct phases, and each phase focuses on a different aspect of the vertical jump. Bounce Kit pits you straight into the deep end from day 1. The first phase is primarily focused on building a solid strength foundation. Exercises mainly consist of basic compound lifts, many of which you might already be familiar with such as squats, deadlifts and benchpress. You’ll therefore need access to gym equipment. In order to facilitate individual muscle group recovery, each day will focus on a different target area. The target areas are lower body, upper body and core. While strength is a key factor of the vertical jump, numerous studies have shown that it is not a limiting factor until later on. In other words, training for pure strength will only yield substantial benefits after you have built up speed and explosiveness. This actually presents a big problem with Bounce Kit. 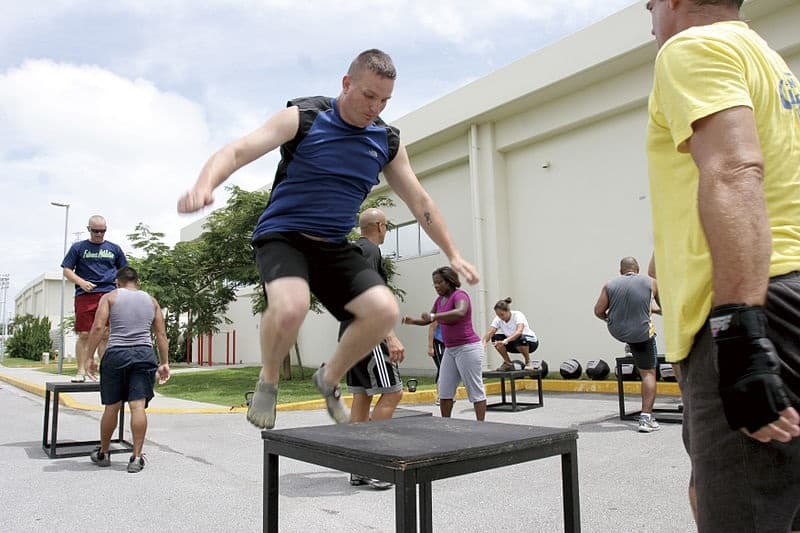 The first 4 weeks will not do a lot for your vertical jump, making it easy to lose motivation due to a lack of results. In a program like Vert Shock, training starts with plyometrics meaning you’ll see much bigger gains within the first month. I definitely feel that strength training should come after speed training. Most people aren’t lacking in strength but are lacking in speed and coordination. Another problem is that exercises are almost evenly split between core, upper body and lower body exercises. 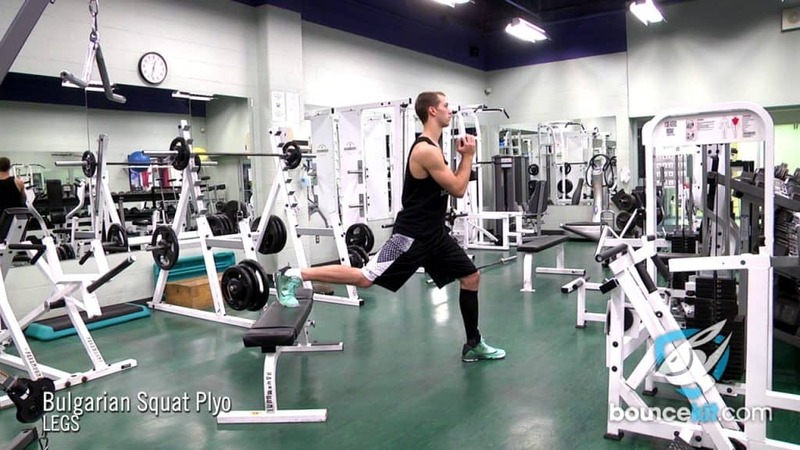 For a jump training program, there should be a much heavier emphasis on lower body workouts. No other vertical jump training program starts out with a rigorous strength whole-body building workout routine, so one does wonder why Bounce Kit went down this route. Even Jordan himself says he didn’t do any weight training until well after he had started dunking. In many ways, it feels like Jordan isn’t entirely sure himself on what training methods are most effective for developing a vertical jump. The whole first phase only exists to cover all bases and make the program a bit more meaty. The second phase of Bounce Kit focuses on more power and explosiveness based training. This phase will definitely have a bigger impact on your vertical, as you’ll be doing more tried and tested plyometric exercises that are known to work. You’ll perform a lot more jumping in this phase. I personally think Bounce Kit should have a preparatory jump training phase, as suddenly doing a whole lot of jumps will take a toll on your joints. You’ll still be doing the same weightlifting exercises, but you’ll be doing more reps at a slightly lower (around 70% of your one rep max) intensity. For building power, there are some Olympic lifts. These are a great way to build explosive power, forcing your central nervous system to trigger muscles quicker. Rate of force development training is a huge part of jump training and should be part of any good program. The third and final phase of Bounce Kit further reduces strength training exercises and shifts its focus even more towards plyometric exercises. The idea here is to build maximum explosiveness. The workouts become more intensive, meaning you’ll only train 4 days a week and have 3 days of rest. One thing that doesn’t make a whole lot of sense is reducing the weight and increasing the reps for the strength building exercises. It is well known that low rep, high intensity weightlifting is the best way to build power and explosiveness. And yet in phase 3, you’ll only be lifting 50% of your one rep max, albeit with more reps. Phase 3 introduces a lot of the key plyometric movements like depth jumps and jump squats. However, it’s difficult to understand the reasoning behind leaving them out until this late into the training program. Unfortunately, the reasoning behind the whole training structure isn’t really discussed anywhere so we’ll never know why. Overall Bounce Kit’s training workouts fundamentally differ from the approaches taken by more established jump training programs. Despite there being plenty of scientific literature that delves deep into the principles behind jump training, Bounce Kit doesn’t reference that and instead takes a very broad approach. Of course, doing the prescribed workout will improve your vertical jump to some degree. But from a training efficiency perspective? Bounce Kit just doesn’t tick the right boxes. Since Jordan Kilganon himself isn’t a certified fitness coach, it’s important to assess the safety and implications of using Bounce Kit. Not everyone is a fit and young man like Jordan, after all. There are two concerns I have with the safety of Bounce Kit. Firstly, from the very first week you’ll be doing heavy weight, low repetition strength training. This is exactly the most dangerous type of weightlifting for beginners! If you are not familiar with form for exercises like squats or deadlifts, you could do serious harm to your back. 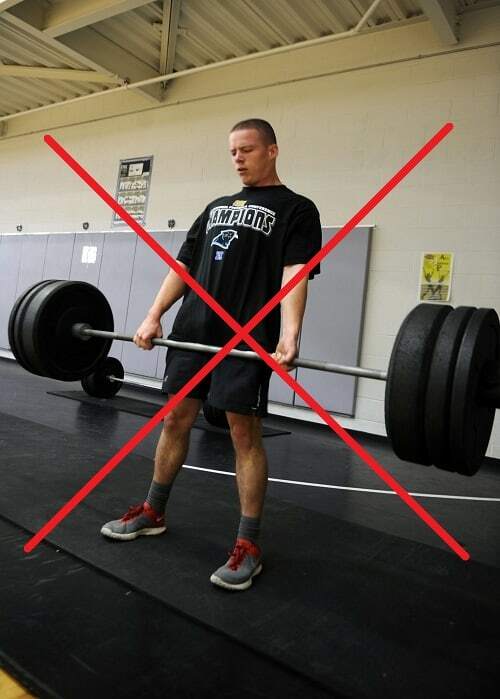 In the weightlifting community, people suggest you should spend weeks perfecting form with low weights before attempting to lift heavy. Jordan clearly isn’t an expert when it comes to weight room training, as Bounce Kit shows a complete disregard for very basic weightlifting safety principles. Secondly, in the second phase (weeks 5-8), there is a sudden surge in the amount of jumps you need to perform. Jump training is especially taxing on your joints, so going in cold can be a recipe for injury. Programs like Vert Shock dedicate the entire first week to preparing your body. Due to these two safety risks, Bounce Kit does raise serious safety concerns and should definitely be avoided by any injury prone individuals. The website itself is clean and easy to navigate. Videos are categorized appropriately and quality is good. They are nothing particularly exciting, but at the end of the day they are just instruction videos. 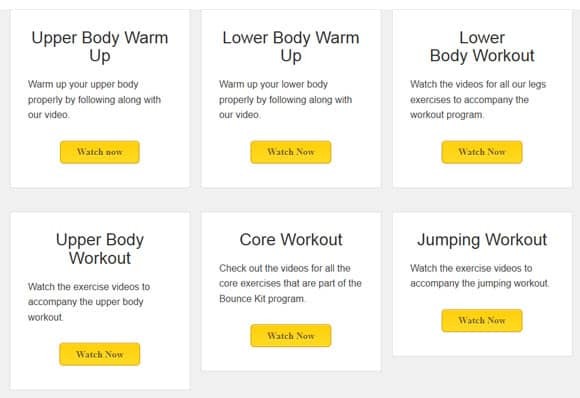 Unlike some other jump programs, Bounce Kit follows a set 12-week program structure. You don’t need to substitute exercises for any reason or switch things up. Being such a rigid program can also be a bad thing. If for example you don’t have access to a gym, you’re out of luck. It’s a trade-off between rigidity and flexibility. Jordan Kilganon is definitely aware of the fundamental factors that influence a person’s vertical jump. The program doesn’t neglect any particular area, making it a well rounded program. Along with access to the membership site, becoming a Bounce Kit member also grants you access to an exclusive Facebook group. Jordan Kilganon is a popular guy, so you won’t be alone here. The program itself might be lacking, but there’s plenty of good information being spread in the group. Strength training is no doubt a big part of jump training. However, the fact is the vast majority of people have very little to gain from strength training. There are a lot of brawny guys weightlifting in the gym, but the greatest dunkers are typically scrawny. Jordan Kilganon himself doesn’t look anything like a gym buff. The fact is strength training is something that should be done when you hit a wall from plyometric training. That’s why our top-rated program Vert Shock doesn’t focus on strength training in the core program. 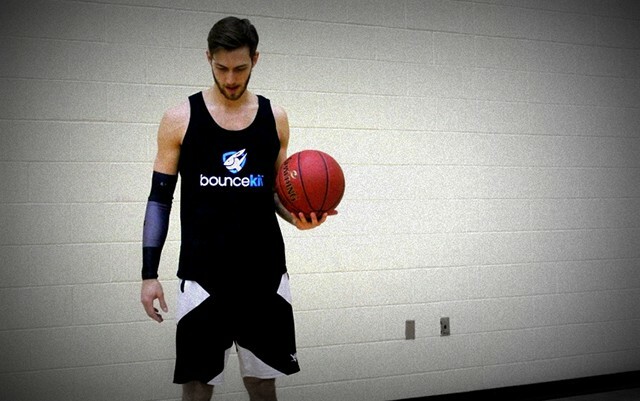 While Bounce Kit covers all bases, it feels lost. Other programs have a very specialized approach. There are different means to the same end, and each program takes its own unique approach. Some programs might work better for some people and so forth. On the other hand we have Bounce Kit which has taken elements from every other jump training program and condensed it into a 12 week program. It just isn’t refined enough. If you were hoping to learn a little bit of theory, you won’t find much here. There is little more than a paragraph of information for each exercise and no real program philosophy. No one wants to read a textbook. However, there needs to be just enough information to make sure you know why you’re doing the exercises you’re doing. Bounce Kit doesn’t even have that bare minimum level of detail. There are some resources every fitness training program should have. Staying on track is essential, so a training log is one of them. Of course you can make one yourself, but when you’re forking out $77 you would hope that something as simple and important as a training log is included. Lacking the expertise of a certified strength and fitness coach means Jordan Kilganon’s program disregards important safety considerations. Starting out with heavy weight deadlifts and squats is simply NOT something you can afford to be doing. One of the biggest disappointments about Bounce Kit is that it feels like nothing more than a very standard jump training program. Don’t expect to be dunking like Jordan. Dunking isn’t covered. How about some basic and advanced dunk tutorials for those who are able to jump high enough after using the program? Or what about a short video autobiography talking about the challenges of becoming a professional dunker and what it takes? The current best-selling jump program, Vert Shock, has an optional dunk training module and other bonus content. Meanwhile, a program created by the world’s best dunker doesn’t offer anything beside the core program let alone any form of dunk training. It is difficult to see who would benefit from Bounce Kit considering the other jump training programs available on the market. The workout routine is less effective than other programs because it tries to incorporate such a broad range of exercises. Plyometric training, which should form the biggest part of any jump program, feels very underemphasized here. The first four weeks of training are focused on foundation strength building. They won’t do much for increasing your vertical jump. People lose faith if they aren’t seeing any results for that long. The program also doesn’t cover the fundamental principles behind jump training. Beginners need to develop a basic understanding in order to approach training the right way. For people who might be considering Bounce Kit as a second program, it doesn’t offer anything new. Compared to the top jump training programs it is thin on content and you won’t find any Jordan Kilganon insights here anyway. Overall everything Bounce Kit has feels mediocre at best. From the workout routines down to the presentation, nothing stands out. On top of that, there’s also a lot that Bounce Kit doesn’t have. For $20? Maybe. But $77? No way.